Rothy's are machine-washable and made from recycled water bottles. When you're ready to get rid of your Rothy's, you can recycle them. They're slip on, non-fuss shoes. I hate wearing socks these days, so Rothy's are perfect for me and my stinky pieds. Rothy's aren't cheap. My Slate Metallic The Point set me back by $145, as previously mentioned. 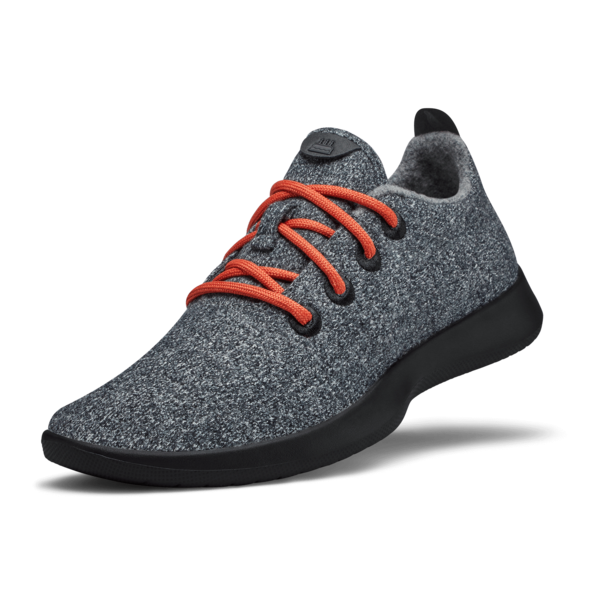 My Allbird Loungers were cheaper by around $50 but the difference here is that Allbirds are wool loungers made from animal byproducts and they made my feet look frumpy and ugly, where as Rothy's are made from recycled water bottles (great for the environment) and they make my feet look like a supermodel's... I feel that every part of the shoe looks well built and well worth its price. When they're ready for washing, I'll have to take off the liner and remember to air dry them. (Machine wash with cold water only.) I wish that I can toss them into the dryer, but I imagine that might deform the plastic in the shoe. PS: My Rothy's have a strong rubber smell, fresh out of the box. The smell actually masks my stinky pied smell, lol. Rothy's are made in China. They're lightweight and soft, flexible and comfortable. If you're looking for a really supportive shoe, Rothy's are not for you. They're soft, after all. They're also easy to carry. Folded in a handbag? Sure. Tossed into a tote bag? Sure. A pair under your office desk? Why not? A pair in your gym bag? Go ahead! Another reason why I love my Rothy's is that they're versatile. I feel I can go out casually with my friends in the daytime with my Slate Metallic Point Flats, and go clubbing at night with the very same pair. Not that this Mama gets to go clubbing anymore. Ack. Anyhoo, I feel I could go to a wedding in these shoes even, or attend a work meeting, or just go out for a stroll with Phil. Rothy's are also moisture-wicking, so that's a win for us gals with sweaty feet! I can't complain about Rothy's packaging. It's really simple, just a box and the shoe wrapped in paper. I like this simplicity. Less for me to recycle. If you want to return you Rothy's, just go to the website and punch in the email you used to purchase your pair. You have 30 days to return "unworn" pairs, pairs that have not been washed or altered. I went half a size up. I'm normally an 8 in US sizing, so I went for an 8.5 and they are a tad big on me. But I rather have this problem than a too snug shoe. Some people have complained about blistering with their Rothy's. I don't see that as a problem for me. Even though my Rothy's are big for my feet, they don't slip off at the heel as I'm walking. Even though they're 8.5, because their pointed, my feet don't look big. They actually look slimmer and sexier! Phil and Mama awards Rothy's The Point Flats in Slate Metallic with 4.3 out of 5 Pandas! These are awesome, pretty, fashionable and comfy shoes that would enhance any femme's wardrobe! My Rothy's are keepers! I highly recommend them. Let me know if you have Rothy's, or will buy a pair. Let me know what you think. Would love to see your feet in Rothy's! BTW even Megan Markle loves Rothy’s flats! She recently wore a black pair of flats! Even royalty wears the shoes! What are you waiting for?